Objective of the study was to explore self-perceived health status, health determinants and its associations with socio-demographic factors among urban community members in Lithuania. Data were obtained from a European survey on urban health, conducted as part of the EURO-URHIS 2 project. 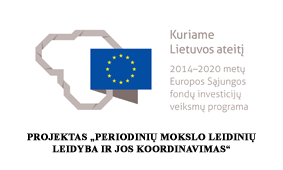 The postal questionnaire survey of 3200 adults from Kaunas and Šiauliai (Lithuania) was conducted in 2010. A total of 1407 valid questionnaires were analyzed. Statistical analysis was carried out by using SPSS 17.0 inside Complex Sample module that takes design effects into account. Younger respondents (aged 19-64 years) perceived most of the health status indicators better than the older ones (65+ years), while they were less likely to report healthy lifestyle and less often perceived their neighborhood as being socially cohesive than the older ones. Men less frequently experienced psychological problems, indicated regular contacts with friends and/or family and had a greater tendency to be overweighed and obese, daily smokers and drinkers compared to women. Those having secondary or lower educational level perceived most of the health status indicators worse than those with university educational level. Respondents living with a partner less often experienced psychological problems than those living alone. Respondents who indicated having enough money for daily expenses more often perceived their health and health determinants better. The results of this study demonstrate associations between socio-demographic factors and self-perceived health status, lifestyle and factors of living environment among urban community members in Lithuania. Received 26 June 2014, accepted 18 November 2014, available online 26 November 2014. Regional inequalities of hospital morbidity and associations with mortality in Lithuania.